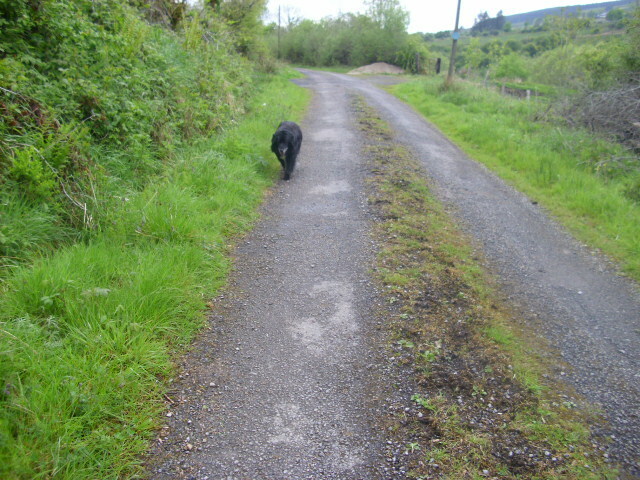 July 1st is here and walking on the lane with the dogs this morning it almost had an Autumn feel. All the rain has kept everything lush and green. 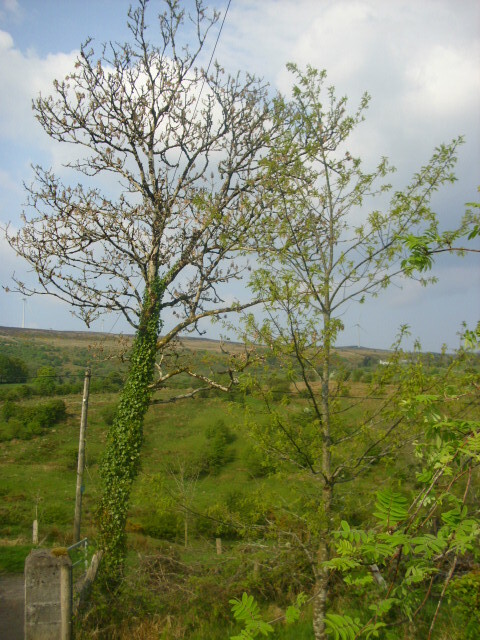 But then that’s what people love Ireland for…the forty shades of green. I’ve never met anyone who came here for the good weather. 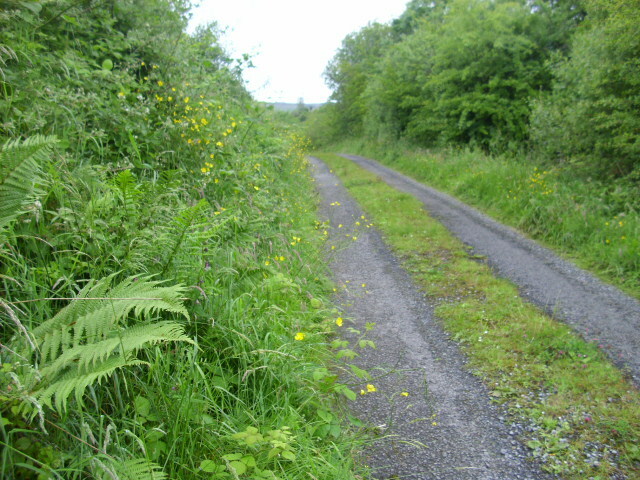 The lane is a 3 mile long cul-de-sac. We live about 2 miles along. There are lots of other houses on the lane so it’s not as isolated as it would initially seem. 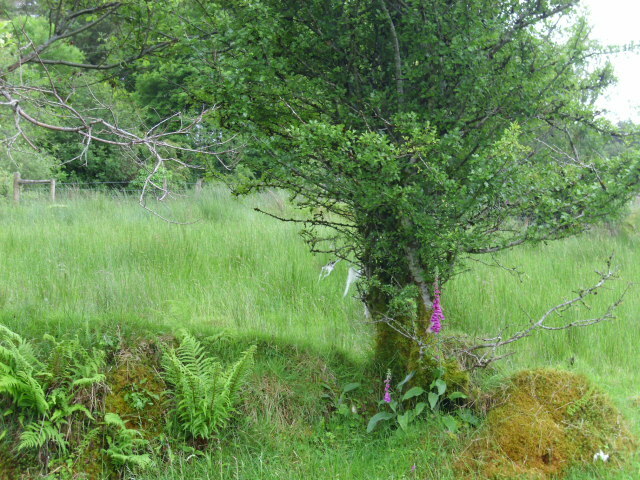 I think this arrangement of Ferns, Hawthorn, Moss and Foxgloves looks lovely. Nature does it better than any garden designer. 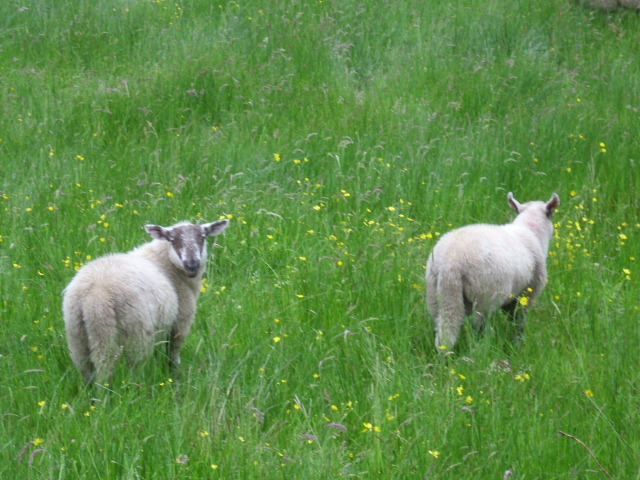 A passing Sheep has made a contribution to the scene. Diarmiud Gavin eat your heart out! No multi-coloured monstrosities needed here! 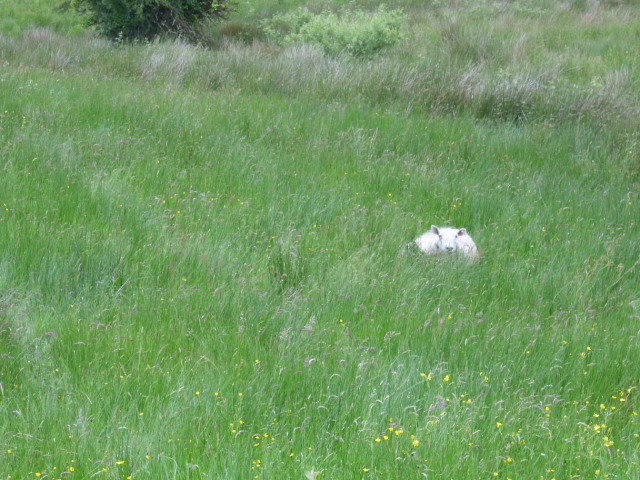 Maybe the wool was from this Mama who thinks she is invisible as she sits quitely in the long grass. 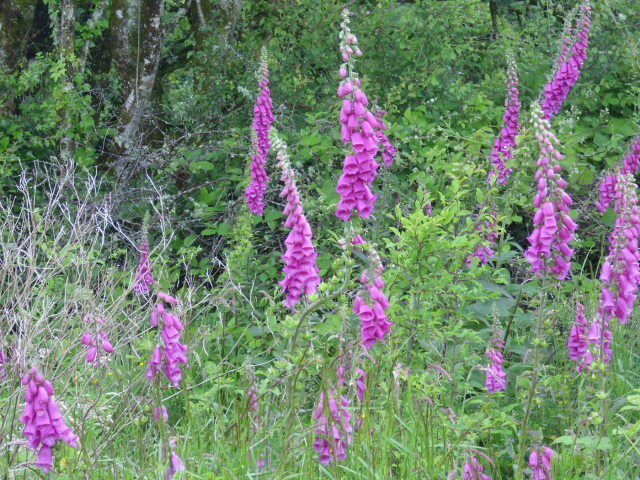 Foxgloves are playing a blinder this year…so many of them. Gorgeous! 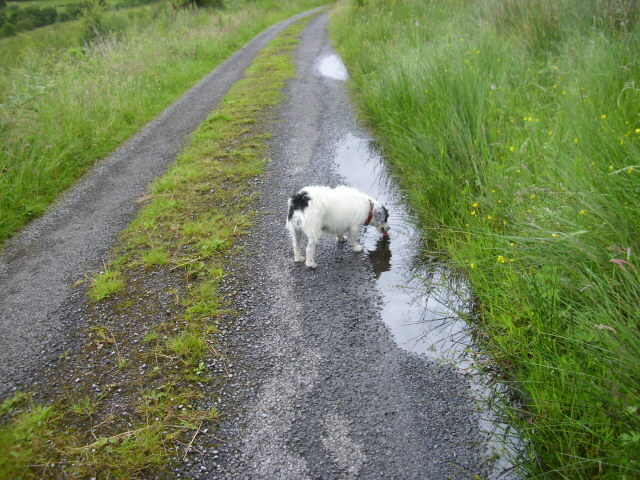 Lettie likes to drink from the puddles on the lane. In their water bowls in the house we always add Citricidal, which is good for eliminating internal parasites. Given the choice she always goes for the pure unadulterated rain water. October Musings from Prospect Cottage. 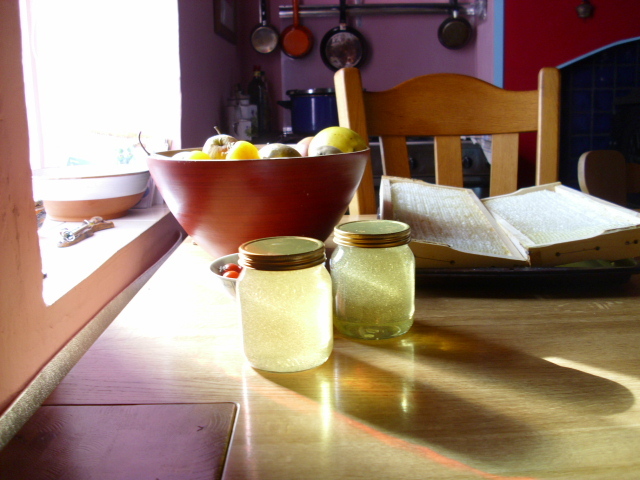 Watery sunlight shines through the jars of newly potted honey from our Bees. Less honey this year but it’s been so sunless and wet we are impressed to get anything. We have 14 of these one pound pots which will see us through Winter. Enough honey is left for the Bees food supply for the Winter. Some Beekeepers take all the honey then feed the Bees sugar syrup, but Andy prefers not to do that. 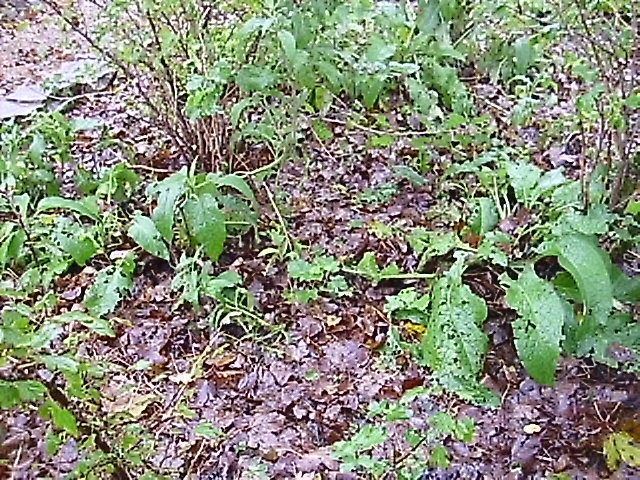 they fall conveniently on the developing Forest Garden area beneath…giving a perfect mulch to the plants. 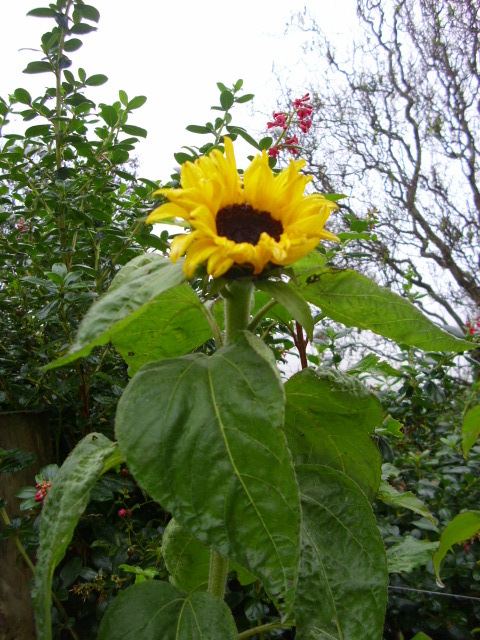 A Sunflower produces a late bloom. A cheery sight on these drab wet days we have had throughout October. 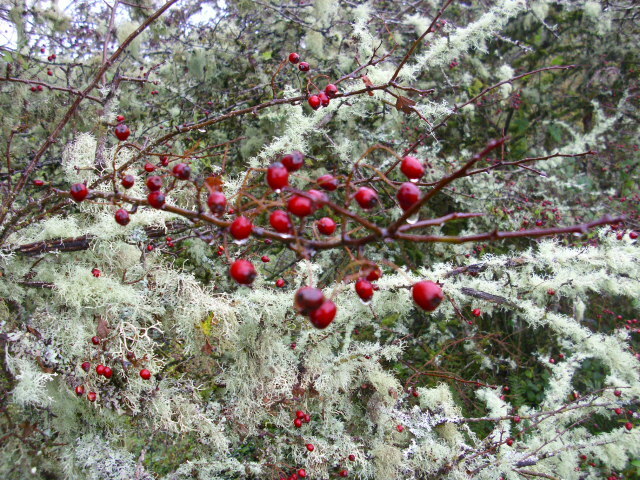 On the laneway the combination of the Hawthorn berries and the lichen covered branches give a Christmassy look. The lichen seems to get whiter at this time of the year…or maybe I notice it more when the leaves have fallen. 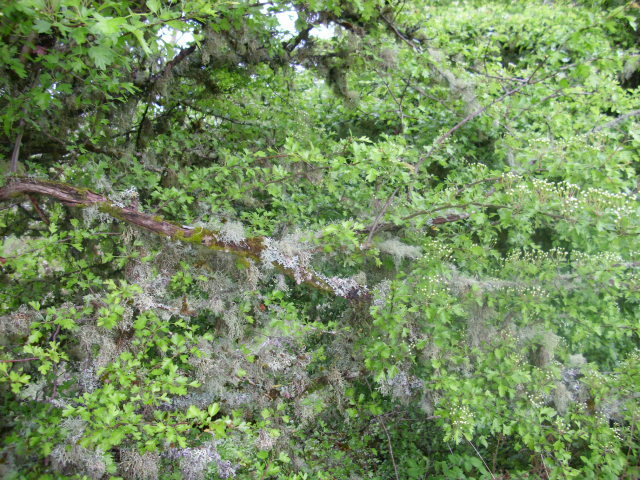 Lichens only grow where the air is pure…they are a good sign of an unpolluted environment. 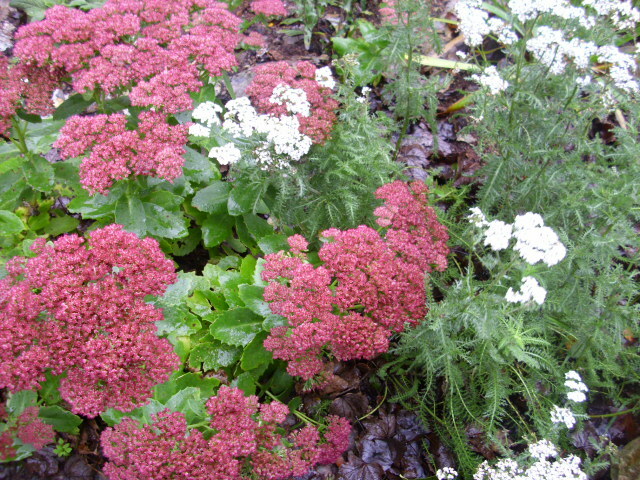 Sedum and Yarrow continue to flower in the shaded bed by the chalet. Yarrow is a medicinal plant…useful for nosebleeds and cuts and wounds. 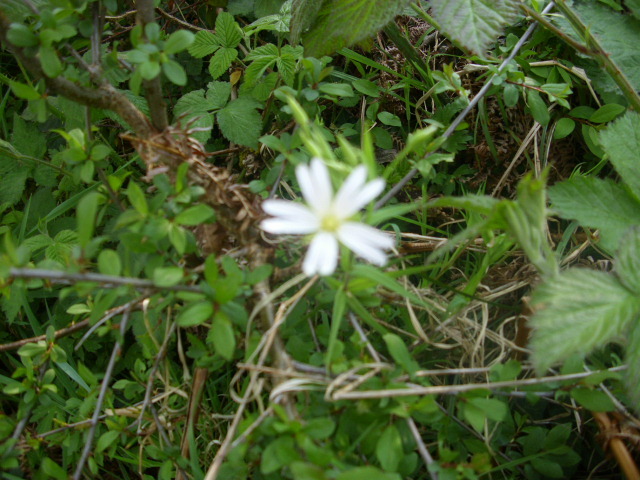 It can be made into a tincture which is useful for high blood pressure, weak digestion and heavy periods. 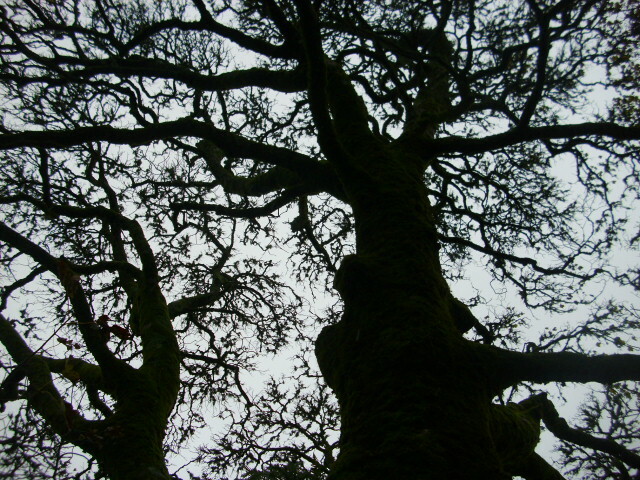 The leaves can be dried and used to make a tea. This tea is particularly useful for reducing fevers. The Fatsia which is in a big pot near the back door is doing well. Most books tell you this is a houseplant…rubbish…this one has been outside for the last 2 severe Winters and is doing great. 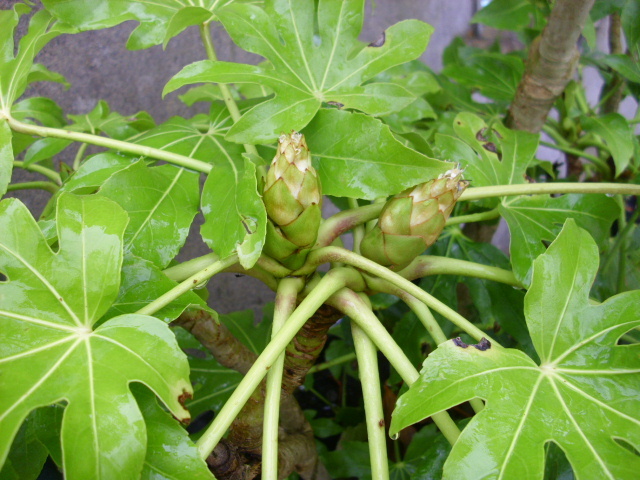 It looks like it is going to produce flowers soon. 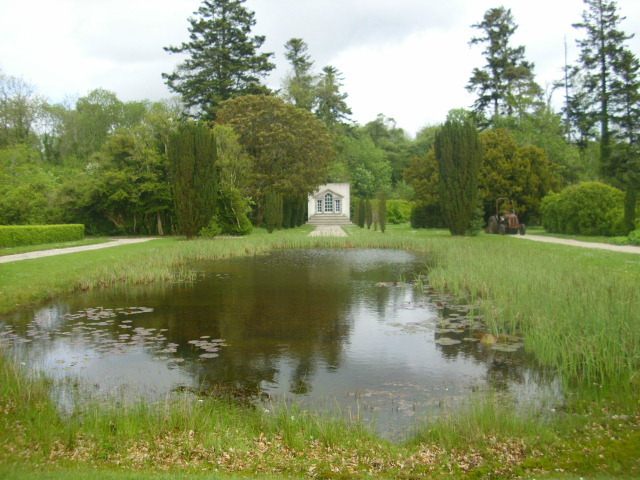 A Visit to Strokestown Park Gardens. Yesterday was a windy, blustery day here in Roscommon. 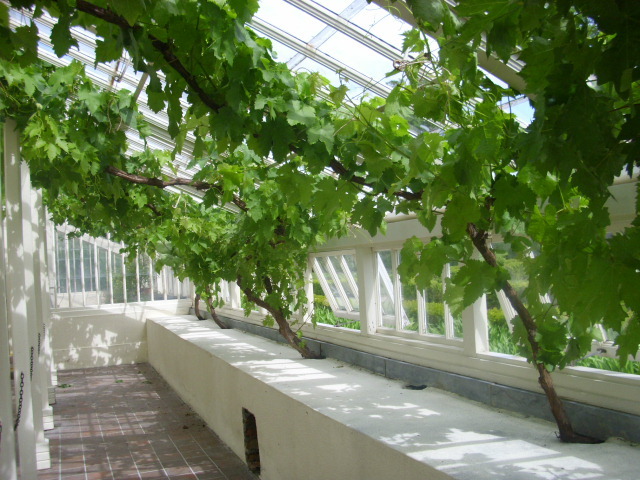 Undeterred by weather we decided to pay a visit to Strokestown Park Walled Garden. As if by magic, the rain kept away while we were there. Really enjoy walking around the 6 acres of restored Georgian gardens, especially the wilder undergrowth beyond the lake. 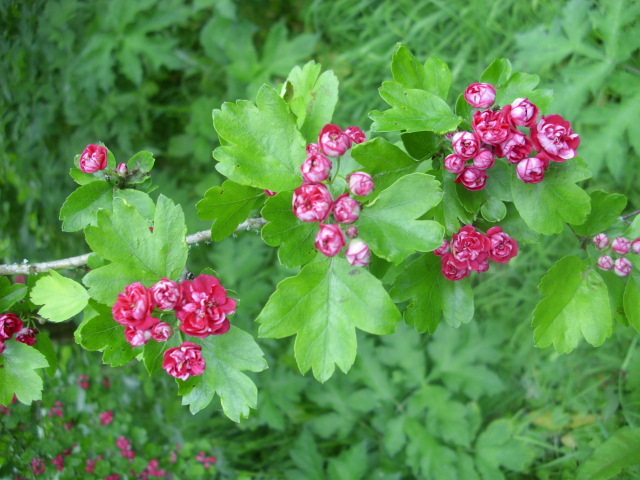 Love this double flowered vibrant pink Hawthorn. 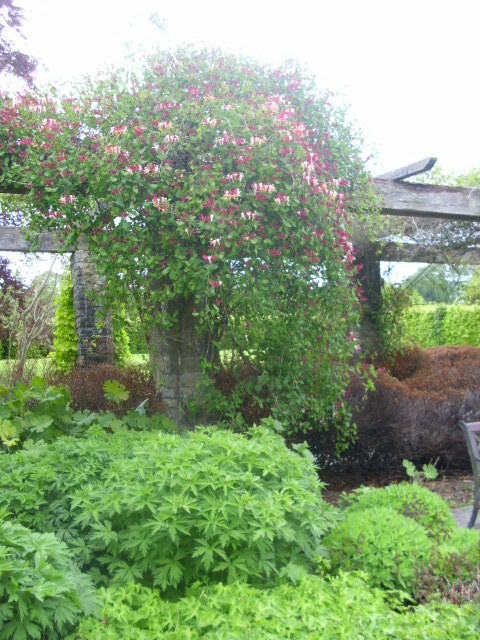 The large bush was covered in blossom which look like miniature roses. 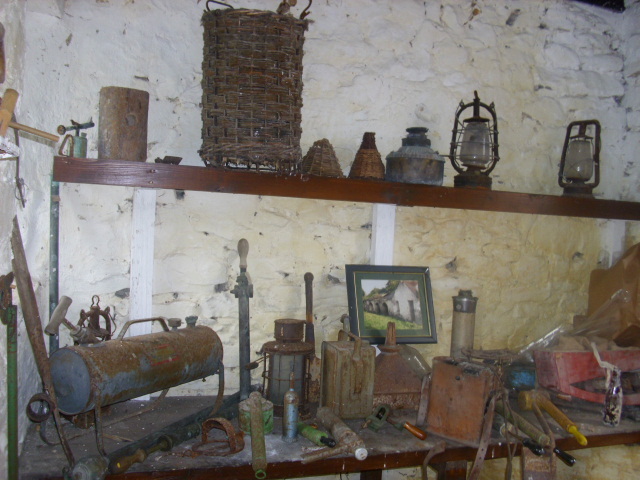 Nice to see the display of old tools and paraphernalia from a bygone age, replaced now by mechanisation. 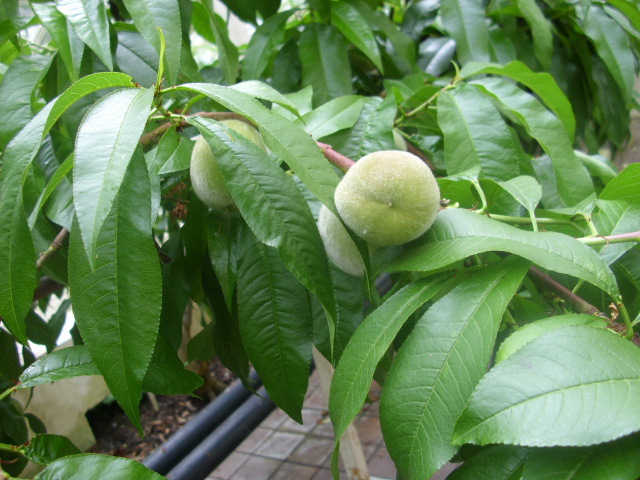 The Peach harvest is looking promising, incredibly healthy looking plants. Grapes looking good too, lots of fruits forming. An early flowering Honeysuckle which is also scented, perfection! Every day, (sometimes twice in the day), I go, with our two dogs Lettie and Alice, for a walk along The Railroad. The Railroad is the name given to the narrow road on which we live. So called because, up to the 1950s it had a narrow gauge railway bringing coal from the nearby mines. So, down our steep drive. The dogs wait to see if we turn right or left. Right today. 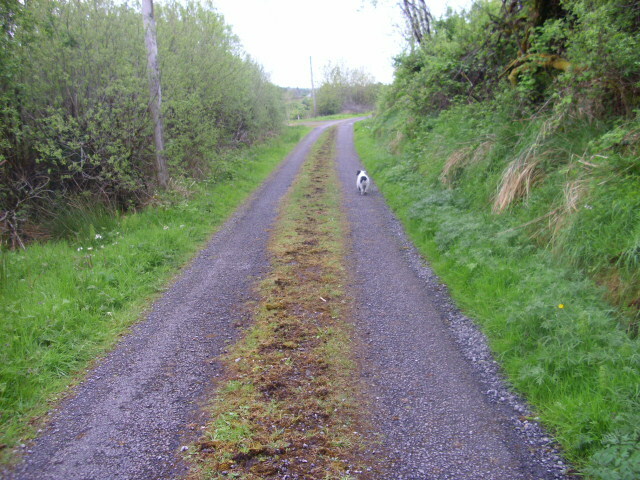 Lettie, the white speck in the pic, has to be in front, leading the way, ever the terrier. Alice, always behind, he is 14 now, entitled to take his time. 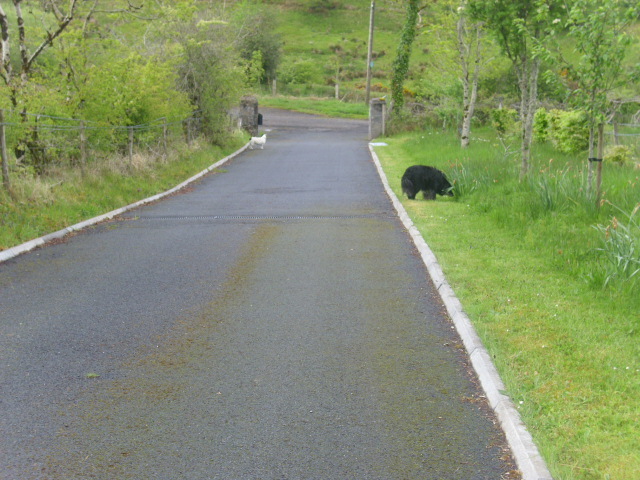 The dogs run about, sniffing and checking out every Badger pass. 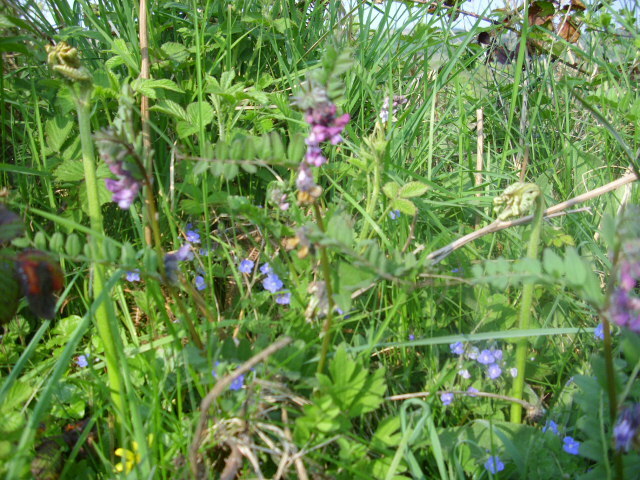 For me it is the daily changes in the hedgerows that I love. 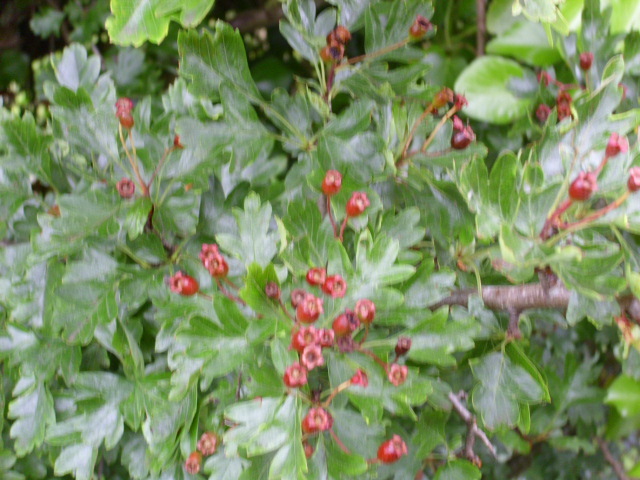 The Hawthorn dripping with Lichens, signifying the clean air, the coming into leaf, then the flowers and last of all the haws, before Winter. 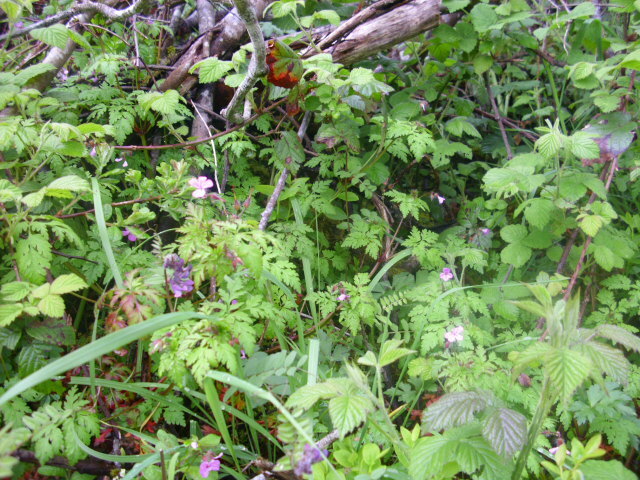 So many wild flowers and plants, it’s hard to have a favourite. Herb Robert I always have a soft spot for though. 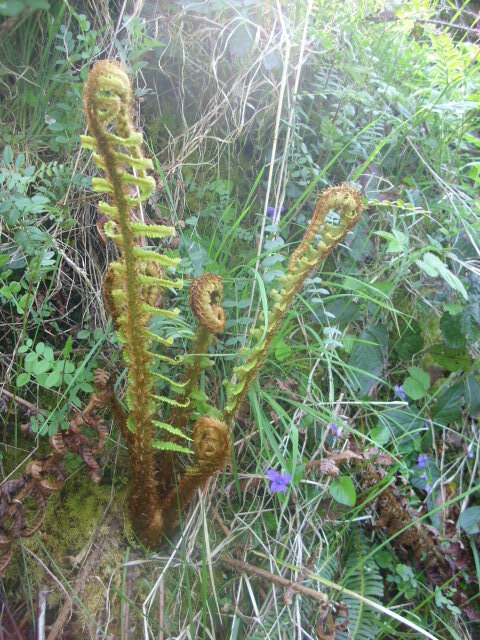 Then there’s the Ferns, unfolding a little each day, to reveal their full beauty. 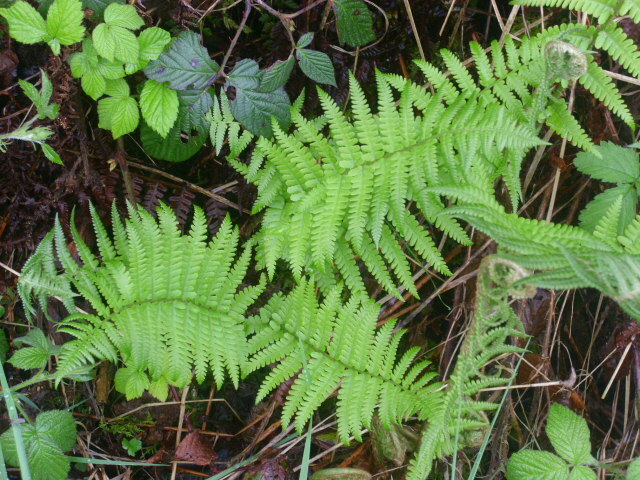 I just love Ferns, some of the oldest plants on the Earth. Check in tomorrow for part 2.